Even the most patient among us get irritated when we discover that our shiny, new, internet-bought item will arrive in ‘five working days’. “How do you expect me to wait for a week? !”, I hear you cry. “I may as well have ventured into a dusty old shop. What is e-commerce for, if not to deliver my Halloween costume to my desk in 24 hours?” In a world of same-day delivery, smartphone-driven shopping, and ‘show rooming’ (checking out an item in a shop and then buying it cheaper online), this level of intolerance is common. So it comes as no surprise that Ebay recently announced to roll out one-hour delivery services in the UK and across the US, after successful trials in New York and San Francisco. As consumer expectations continue to rise, big name businesses are pursuing increasingly innovative ways of building and distributing products in a more efficient manner. For instance, last year, Amazon bought the robotics company Kiva Systems, which makes a self-propelled robot that travels around warehouses to retrieve and carry entire shelf-units of packages to their proper shipping point. Even much smaller organisations will be benefitting from the use of drones to streamline their logistics in the near future. The media has labeled this next step in manufacturing and supply chain development ‘Industry 4.0’, meaning we have reached the fourth time in history that we have revolutionised industrial practice with technology (the first three being driven by steam, electricity and IT). Some of the innovations of this fourth revolution, such as 3D printing, are already being used (although they’ve yet to have a huge commercial impact). However, Industry 4.0 goes much further than robots and 3D printing. 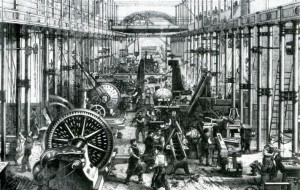 Technologies that have made waves for other types of organisation are about to make themselves felt on the factory floor for the first time. 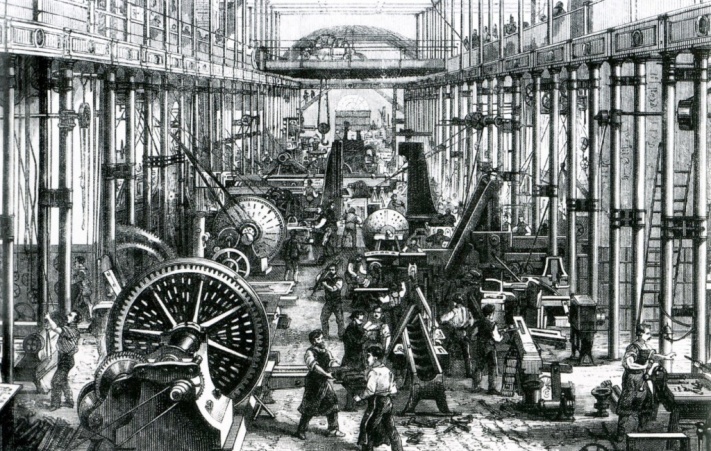 For example, as working in the cloud becomes normal, and intelligent devices are increasingly connected through the Internet of Things, it’s entirely possible that soon, factories will be run entirely by machines, with not a person in sight. It is speculated that instead, “workers will log into robot-assisted manufacturing ‘cells’ to make what they want from the comfort of their own home”. This ‘cloud manufacturing’ opens up new working practices, like telecommuting, to factory employees for the first time. Traditionally seen as a more physical job, manufacturing has never been particularly compatible with a ‘work from home’ culture. We now however possess super-fast broadband, high quality video and telepresence, which could lead us being able to manufacture products from afar. Furthermore, this raises another interesting possibility; remote access to cloud-based manufacturing systems would enable anyone – employees or members of the public – to go online, log in and set laser cutters and 3D printers to work—the birth of a new type of online shopping, if you will. The Technology Strategy Board (TSB) in the UK is already helping fund research that will work out how to feed sensor data back to augmented reality user interfaces, which will greatly aid the remote manufacturer. The implications of this sort of innovation are hugely exciting and have the potential to introduce significant changes in the way industry works. Perhaps, for example, we’ll see the emergence of a new ‘hosted manufacturing’ service industry which puts the end customer in control and cuts out the middleman retailer. And then there’s big data. The term refers to the collection of large, complex data sets generated from all sorts of processes. In manufacturing, decisions will be made less on the team leader’s personal expertise, and more on analytics derived from data that was previously impossible to analyse, due to its sheer volume. We are looking at a future where companies will use highly advanced big data analytics to reduce risk in their supply chains and optimize retail pricing strategies. They will be able to work smarter, improve processes and regain competitive advantage through operational excellence. 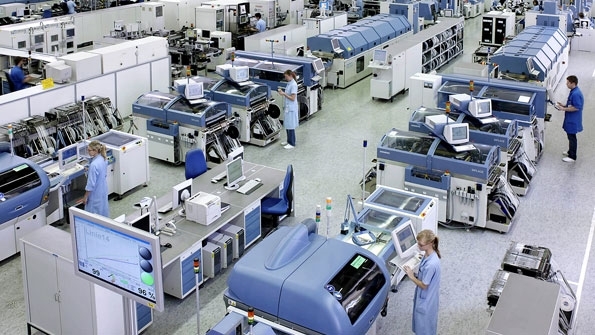 How do you think will Industry 4.0 change the way we produce and distribute goods?